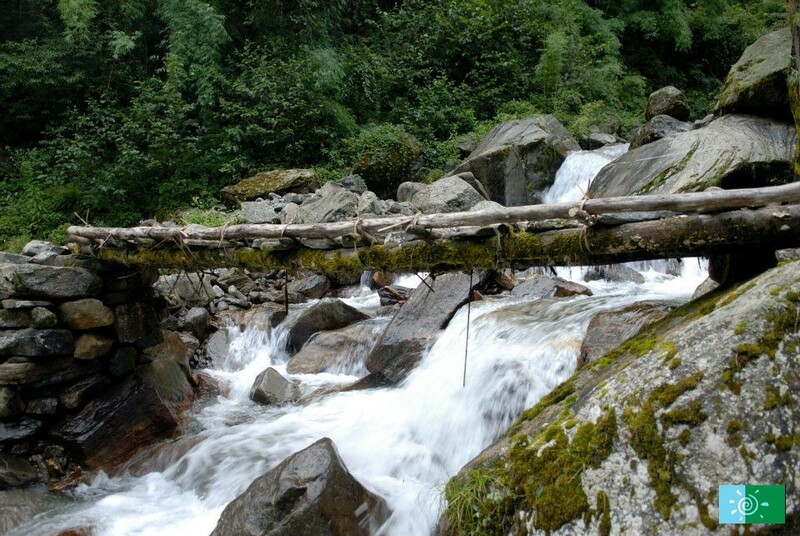 Many endangered flora and fauna such as snow leopards, Himalayan Thar, and tigers dwell this region where you might encounter along the trail. 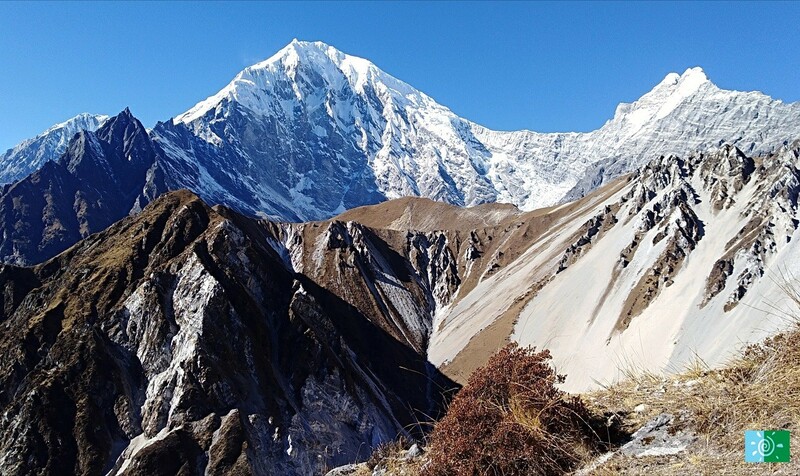 At Annapurna Base Camp (4,130 meters) trekker are surrounded on four sides by remarkable dazzling snow blanketed peaks. I.e the white massive Annapurna & its sisters Annapurna Fang, Annapurna III, and Annapurna South. Also get an opportunity to observe mesmerizing views of Gangapurna, Hiunchuli, Khangsar Kang and Machapuchare. 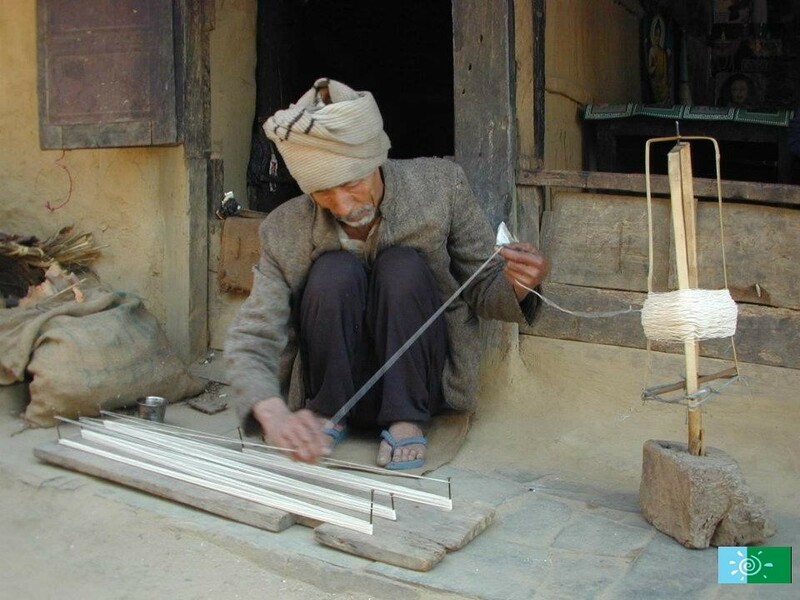 Marvelous opportunity to discover the unique Gurung and Magar culture wonder. 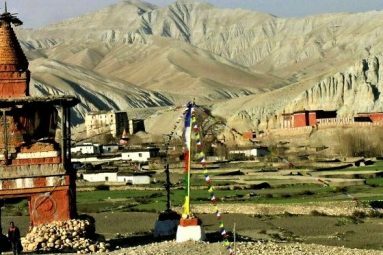 There is a natural hot spring near Jhinu Danda, you can cleanse yourself spiritually in natural hot springs with bathing areas in the lap of the mountains. Locals believe that the waters have a healing quality that eases away your aches and pains. 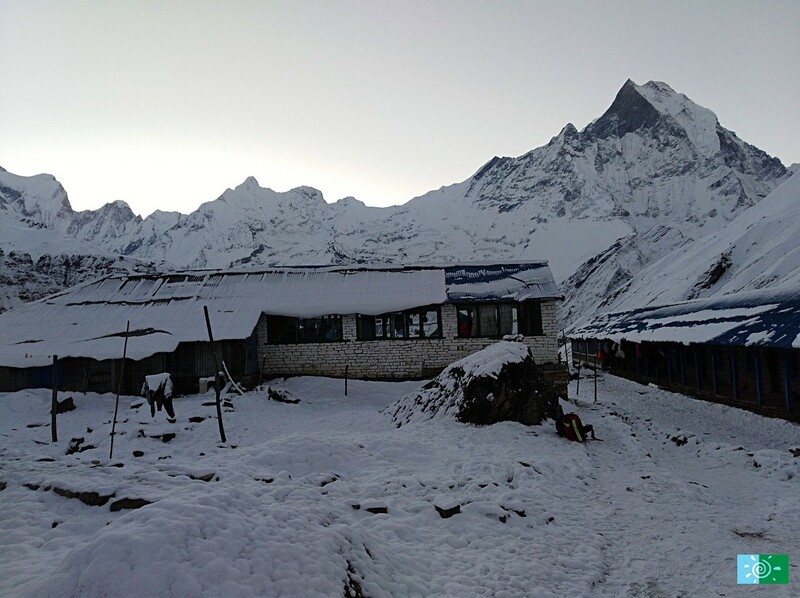 Annapurna Base Camp (4,130m) also known as Annapurna Sanctuary Treks is one of the famous and admired trekking destinations for trekkers around the globe. Nestled at the heart of Annapurna Himalayas of the Great Himalaya range, Mt. Annapurna (8091m) of Nepal is the 10th highest mountain in the globe and the trek to its base camp is at an elevation of 4130m. 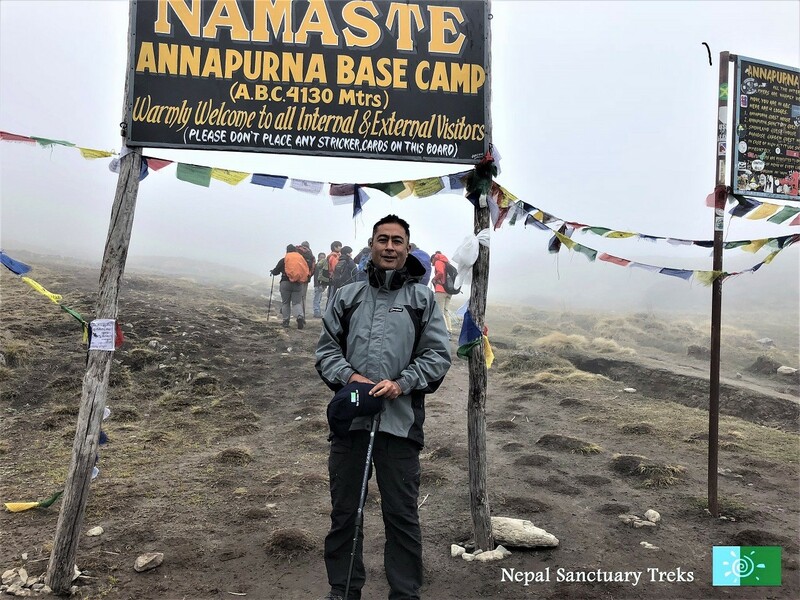 To get to the Annapurna Base Camp, trekker treks through several hamlets of diverse ethnic societies having varied culture and lifestyle with blanketed forests of rhododendron, oak and a wide range of wildflowers. If you are trekking during the spring season, the forest is dominated by vibrant rhododendron and fragrant wildflowers along the trail. 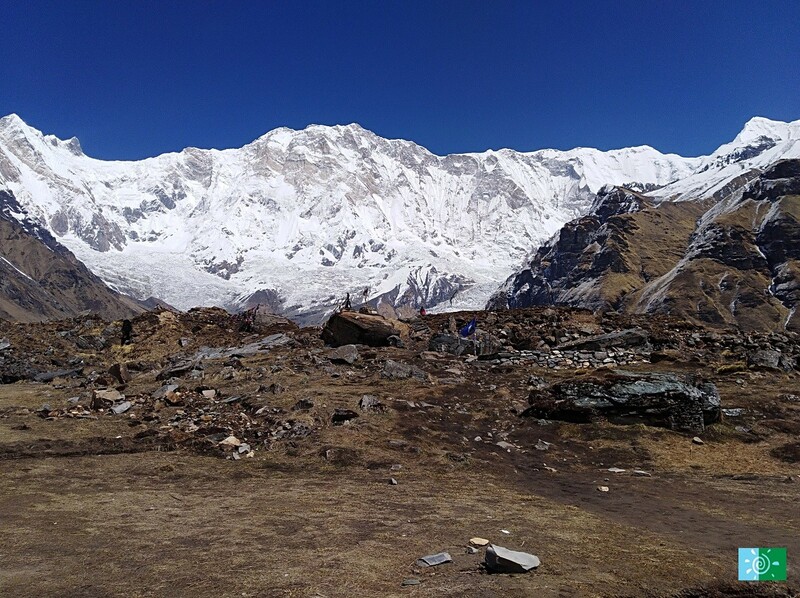 Therefore, the Annapurna Base Camp trekking ensure to offer you innumerable episodes of natural variety with majestic snow-clad Mountain View and tranquil landscape. 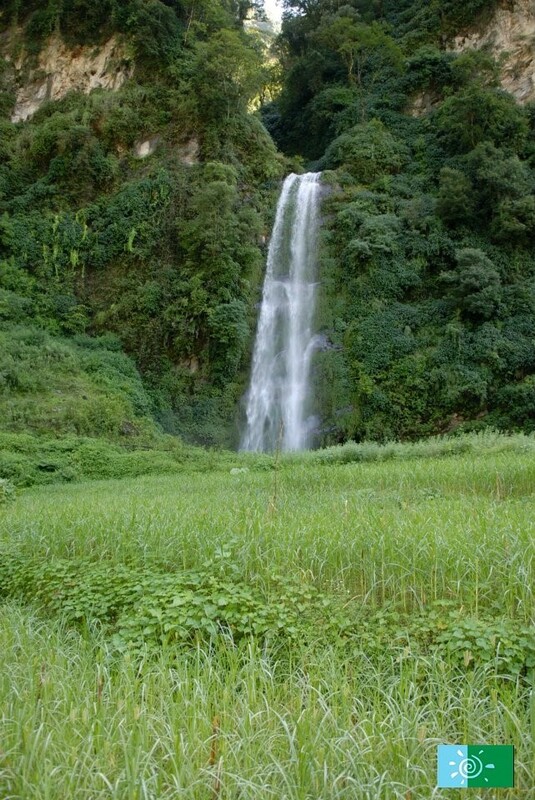 Along the trail, you will find the melodious sounds of a varied range of birds, waterfall rumbles and monkeys chatter from the tree which gives us the imprint of being in a wonderland. You can also experience and explore the distinctive local culture and lifestyle of different ethnic groups including Gurungs and Magars who have resided in this region for a long time. 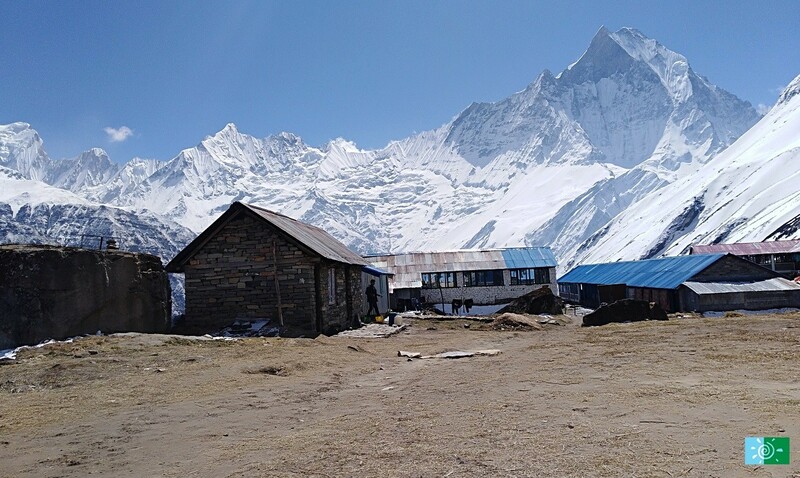 If you are looking for the best trek with your children or planning for a family trek, individual or groups then Annapurna Base Camp Trekking is an ideal and wonderful destination that allows you to feel the liveliness of the Himalayan peaks. You will be close to the immense Himalayan peaks where you and children can enjoy the golden sunrise view over the mountain. 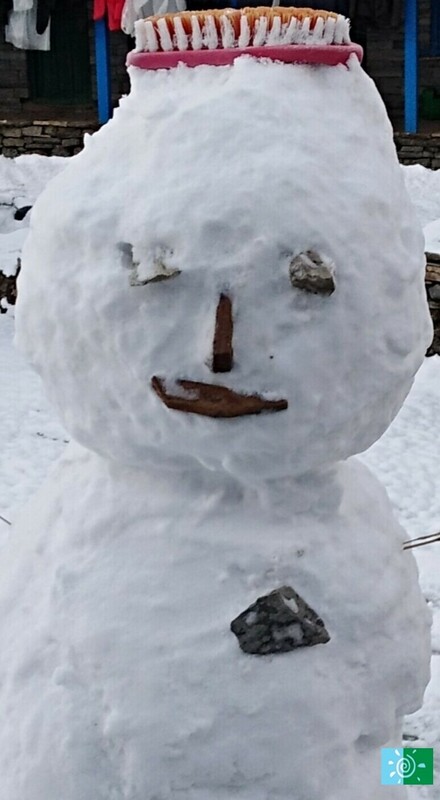 Trekking through the beautiful forest, admiring the beauty of snow clad peaks, ethnic hospitality, and their culture during the trek to ABC will definitely offer you a lifetime experience. We will start off visiting Kathmandu Durbar Square, the traditional heart of Kathmandu and an architecturally extraordinary complex of ancient palaces, temples, courtyards, and shrines. You are then taken to Swayambhunath (monkey temple) which is the magnificent ancient religious architecture and center faith of Hinduism and Buddhism. Its lofty white dome and dazzling golden spire are visible from far and wide.Upon arriving at the top, you can hear the Buddhist songs “om mani paddle hum” resound everywhere. 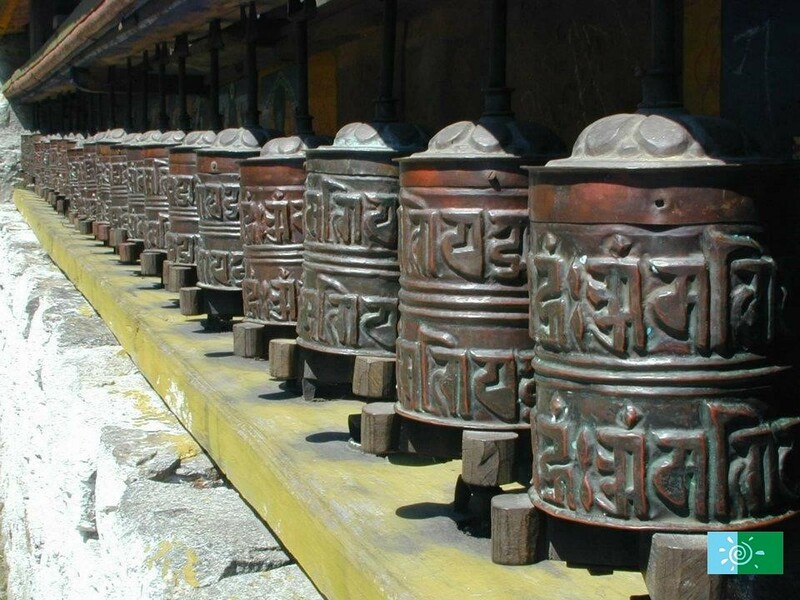 The candles and aromatic fragrance of incense that burn constantly create a serene vibe, and we can turn the enormous prayer wheels which encircle the stupa. You will be transferred to the airport and will take flight to Pokhara. From Pokhara we will drive to Nayapul from where our trek will start. 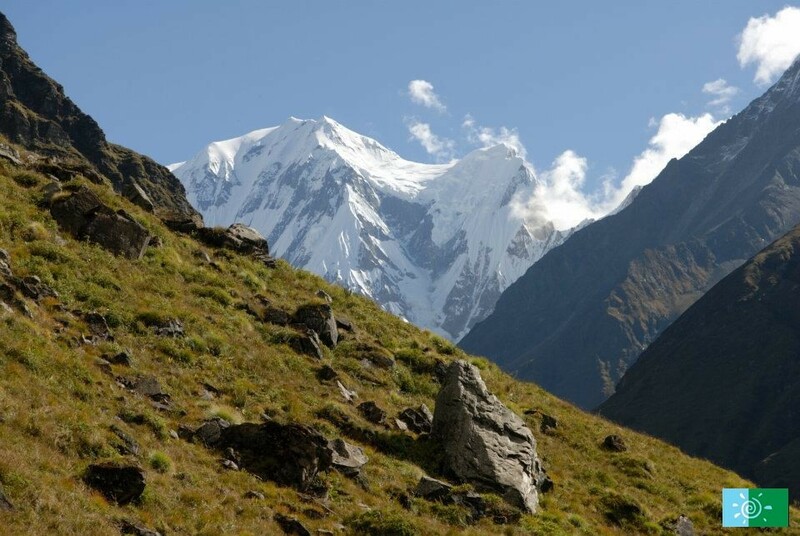 We will meet our accompanying trekking crew there and after a short briefing about the trek we will leave for Birethati (1,025m/3,362ft) down the hill from Nayapul. 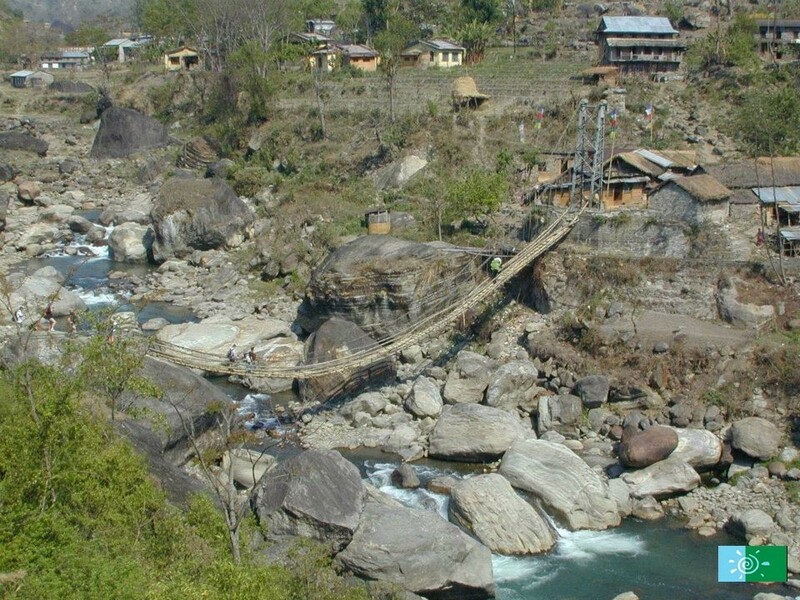 Initial point at Naya Pul takes you through cozy rural villages and relatively easy slight uphill terrain to Hille following the Bhurungdi Khola River and crossing a few suspension bridges. We pass more villages like Tikhedhunga and continue a path having 3,200 steep stone steps that will lead to getting our first view of Annapurna south and finally reach Ulleri by evening. After breakfast, we continue our trek to our next destination Ghorepani. 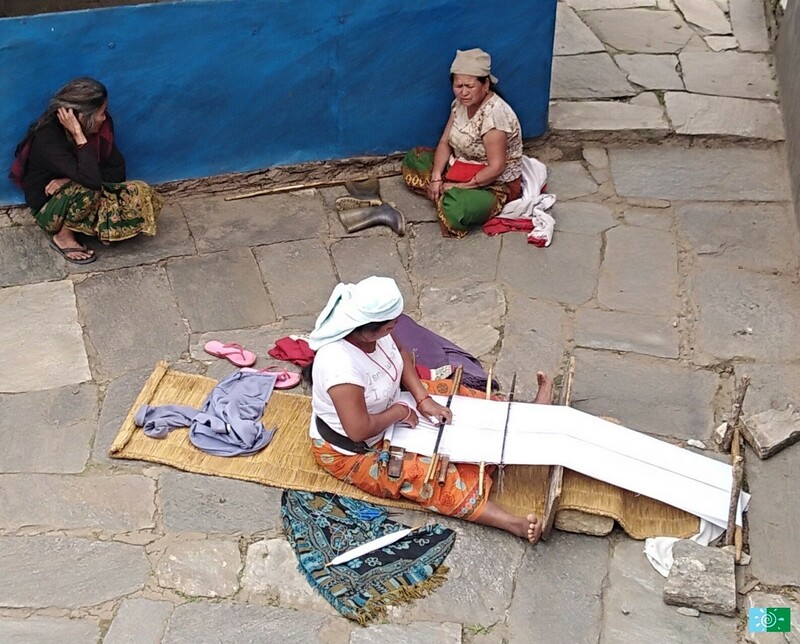 It is believed that the village was named Ghorepani as in the past it used to be rest place for merchants where they found water for their horses, from where the name became ‘Ghora’ horse and ‘pani’ water. This part of the trek is the challenging one; the trail is uneven as it leads hills to hill making the trekkers trek down hills and up hills too. We climb to the Ghorepani through stone stairs. 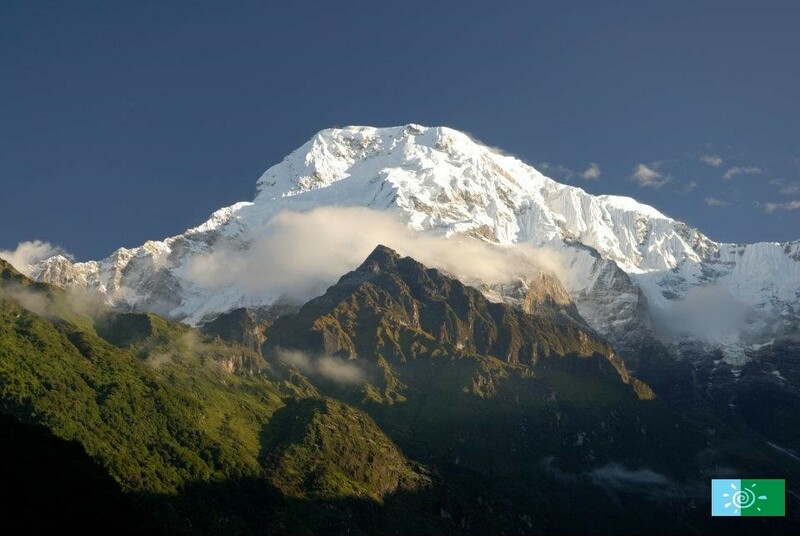 As we take ascend you can see the beautiful scenery of Annapurna South. We walk through a forest filled with trees often in bloom and bamboo plants. You will be overwhelmed by uniqueness and tranquility of this spectacular region. Trekking higher passing through Banthanti and Nagathanti (2,520m/8267ft) we will reach Ghorepani approximately within a couple of hours. 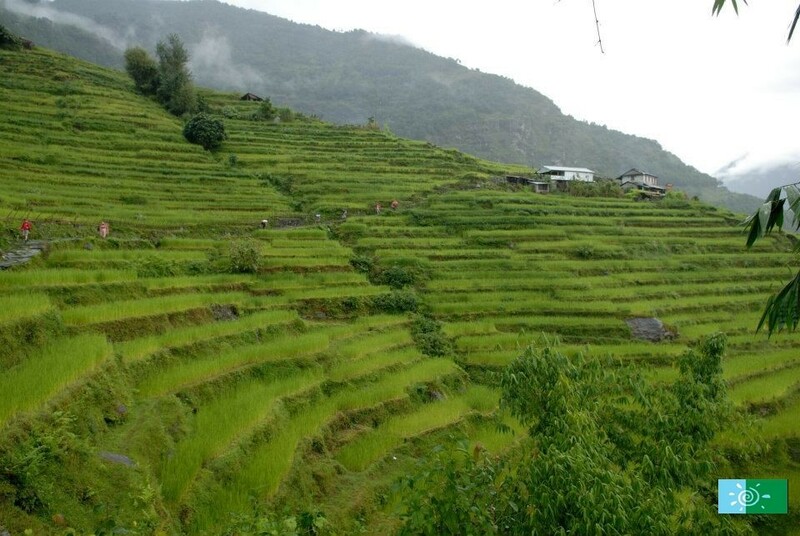 We will rest at Ghorepani and prepare ourselves for the next day’s Poonhill trek. The rhododendrons make the whole area a magical place during the spring season. Ghorepani village presents panoramic backdrops of the surrounding mountains like Annapurna South and Nilgiri mountains. Today we rise up early and start climbing uphill for 45 minutes to see the sunrise from Poonhill. 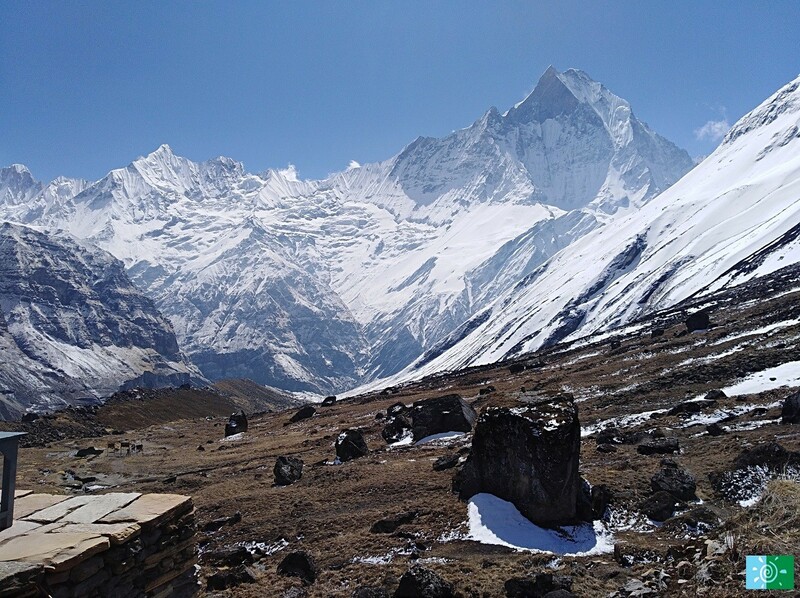 Once we reach at the elevation of 3210m and we will be greeted with clear panoramic views of several snow-capped mountains and peaks like Gangapurna Mountain, Annapurna South Mountain, and Annapurna I mountain, Dhaulagiri Mountain and the Hiunchuli Mountains with a magnificent sunrise. After watching a beautiful view of mountains to all the directions of Poonhill we will return back to Ghorepani for breakfast and continue our trek that wends its way north along the ridge line of magnificent views of the Annapurna’s stretching out from east to west. Continuing the trail we will descend steeply down to a small settlement and eventually the gorge where the trail enters an open area and descends again before our final uphill climb through dense forest to our destination at Tadapani. 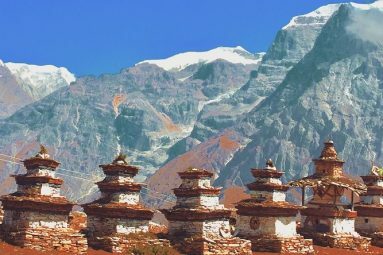 Enjoy close up vistas of several snow-capped mountains and peaks like Gangapurna Mountain, Annapurna South Mountain, Annapurna I mountain, Dhaulagiri Mountain and the Hiunchuli Mountains with a magnificent sunrise. Our journey continues after a hot breakfast, in the morning. 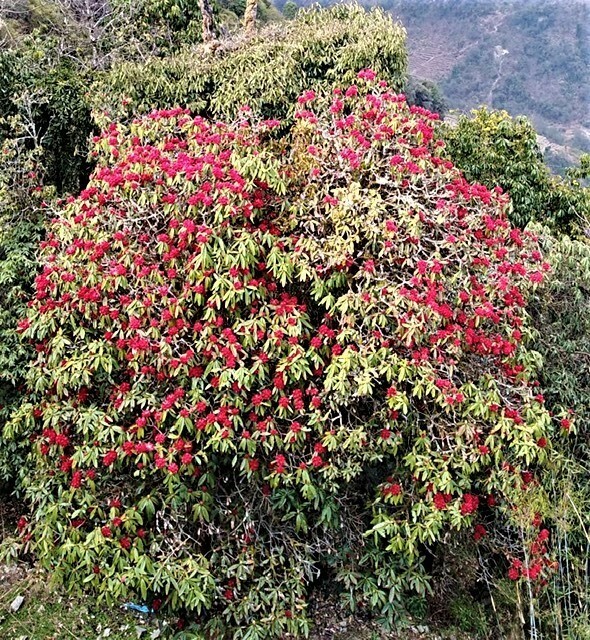 The trail leads down a steep hill and passing through a jungle of rhododendron trees to the village of Chomrong. You can hear the melodious chirping of birds. If you are trekking during spring, the entire forest is decorated with vibrant rhododendron flowers. 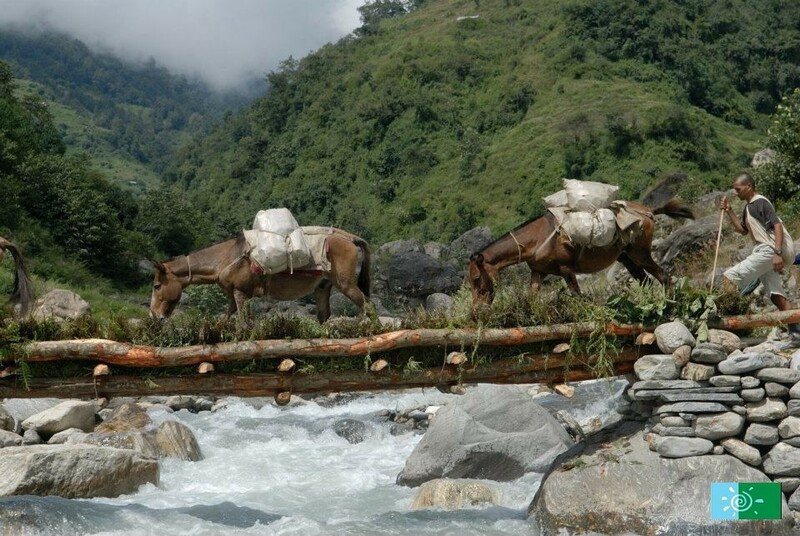 We continue our trek emerging out and into terraced fields to Kimrung Khola and cross the suspension bridge. Further, we trek to Gurjung, the trail ascends up after Gurjung village during 45 minutes then trek through leveled path all the way to Chomrong. Walk through forests and terraced fields of wheat, rice, and millet enjoying chirping of birds. 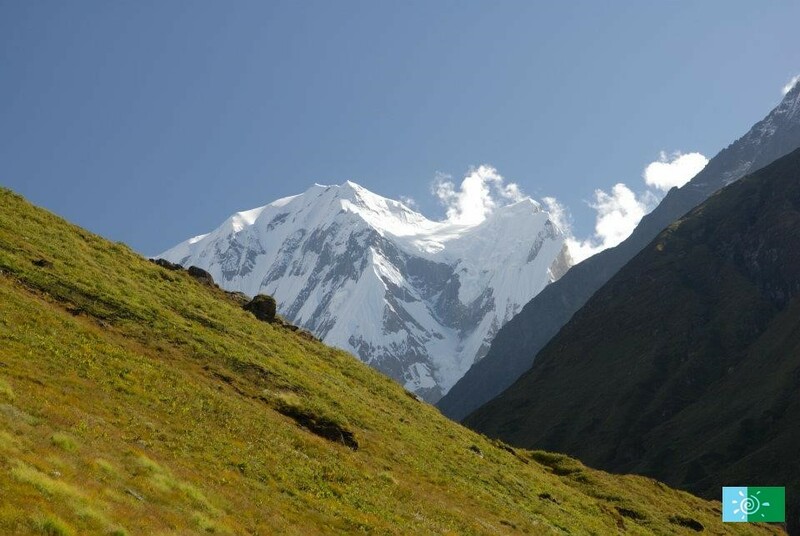 Today the trail descends to cross the Chomrong Khola, and then climb around into the Modi Khola valley up on to the main Sinno ridge high above the river. Through the trail, we will see rhododendron, oak and hemlock line the gorge, and the area is a delight for bird lovers. After another two hours of trekking, mostly steep uphill, we reach the village of Sinuwa, the last town before Bamboo. We follow the valley climbing steadily uphill to Doban. Approximately, two hours later we reach our overnight destination called Himalayan. With an early start, we continue our trek to our next destination Machhapuchre Base Camp. 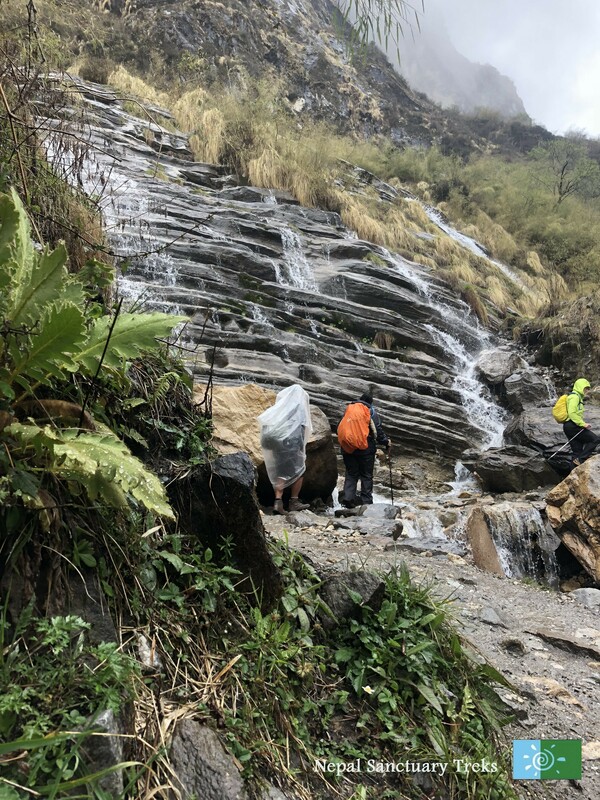 We continue through the Bamboo forest to Hinko cave, that leads us to narrow entrance, into a steep gorge until we pass through the “gates” of the sanctuary, formed by Hiunchuli on the left and Machapuchare on the right. Hinko Cave is an enormous boulder that has nestled on the side of the steep mountain that gives some shelter for the goat and sheep herders in the summer and the occasional ABC trekker. The panorama is magnificent and stunning peaks surround us. Above us on a ledge is Machhapuchre Base Camp where we will stop for the night. Avalanches are frequent phenomena on this section so extreme caution is advised. Trek through a thick bamboo forest. Today we start our climb early in the morning so we reach our destination before the clouds blow and block the views. More importantly, the risk of avalanches is at their lowest level during morning. The Base Camp nestled at the foot of the Annapurna Glacier’s lateral moraine. 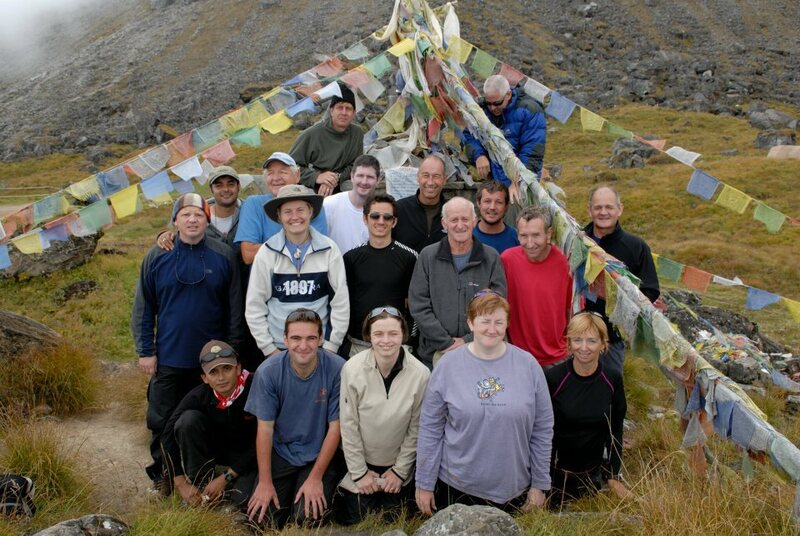 We climb for a few hours up gradual slopes to our lodge in the base camp. Reaching ABC provides any trekkers a weird blend of emotions: immense relief at finally arriving as well as pleasure at being so high. 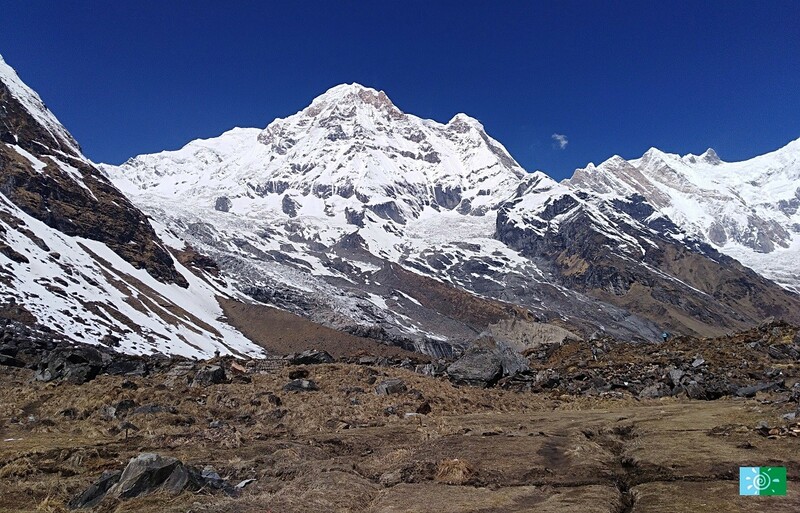 You will be encircled by marvelous views of massive Annapurna I 8091m, Annapurna South 7219m, Machhapuchhre (Mt. Fishtail) 6997m and several other wonderful peaks. Surrounded by Spectacular Mountain like Hiunchuli, Annapurna South, Machhapuchhre, Gandharva Chuli and other several peaks in all directions. 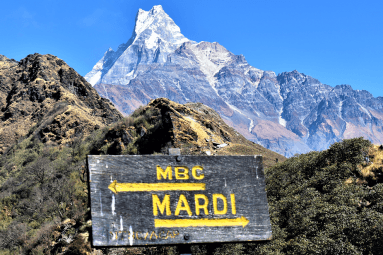 From Annapurana Base camp, we descend towards Bamboo, passing the Machhapuchhre Base camp, Deurali, Himalayan Hotel and Doban, The trek is almost the downhill all the way to Bamboo where we stay overnight. 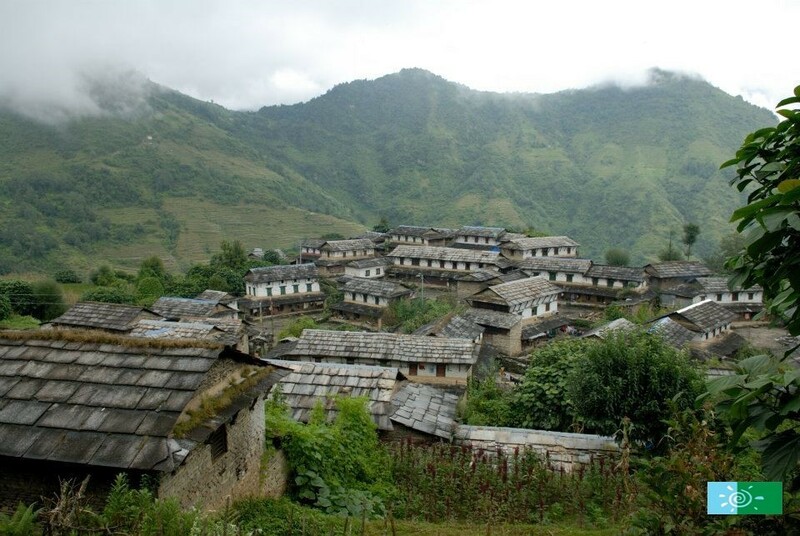 Today’s trek is a long descending trek so we start off early; retracing the trail back to Chomrong village. From here, the trail climbs to a spur ridge. Entering Kimrong Khola valley the trail evens out for a while and the walking is easy. 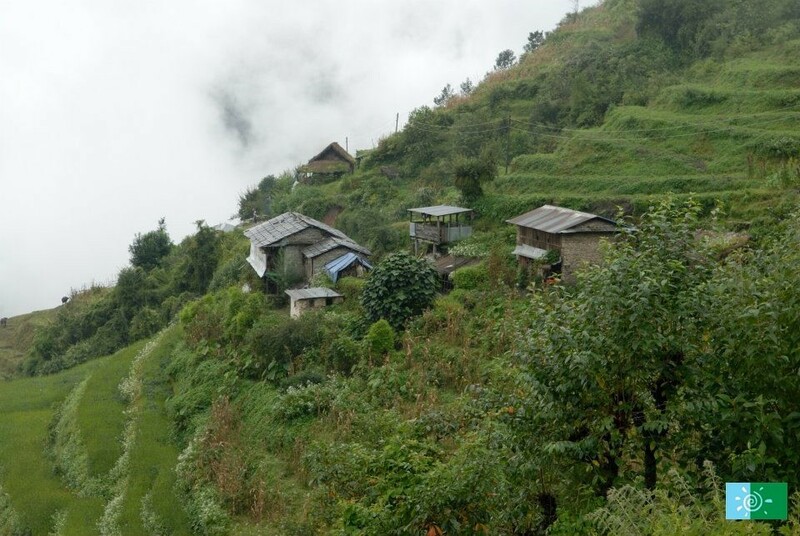 We reach at the junction with the route from Ghorepani and just beyond the village of Kimrong, the trail suddenly drops in short, steep switchbacks, then through open rock-strewn fields to the ‘Gurung’ village of Ghandruk. 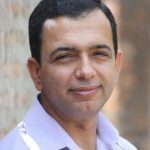 We stay overnight in Ghandruk. We wake up in the morning seeing the beautiful Annapurna range, across the unspoiled meadows in peace environment that makes up an experience of a lifetime. After hearty breakfast, we join the trail that descends downhill all the way to Birethati and back to Nayapul from where our trek started. As a vehicle will be waiting for us, we will return to Pokhara. Upon reaching Pokhara you will be overwhelmed with the tranquility of lakes and the radiance of the Himalayas escalating behind them that create a rhythm of harmony and magic. After breakfast, we take a flight back to Kathmandu. Upon arrival, our representative will transfer you to the hotel. You can spend the day rest or catch up on some last minute shopping or shop for some locally made handicrafts and souvenirs. Stay overnight in Hotel. 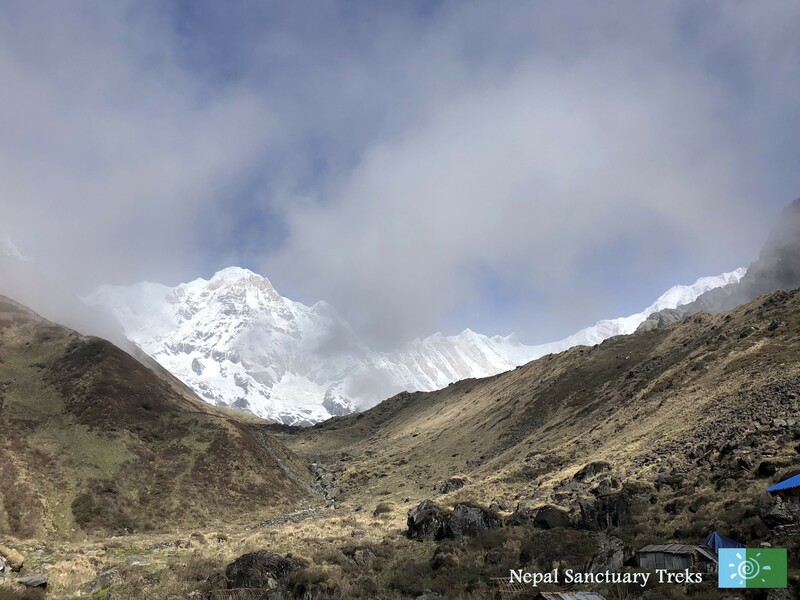 The representative from Nepal Sanctuary Treks will transfer you to TIA airport where you should check-in 3 hours prior to your scheduled flight. 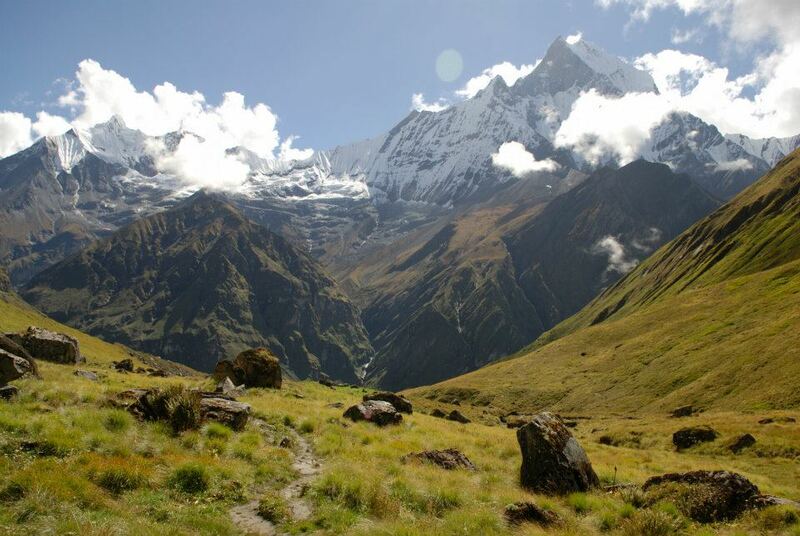 Annapurna Base Camp situated inside the Annapurna conservation area (7,629 sq. km). 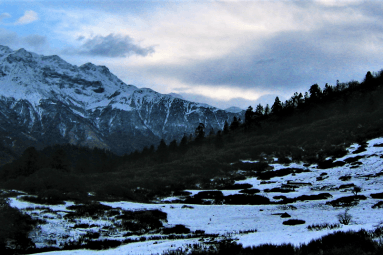 Annapurna conservation area encompasses 474 birds, 39 reptiles, 22 amphibian, 102 mammals, world deepest George and the rarest animal like Blue sheep, Himalayan Thar, red panda, snow leopard etc. 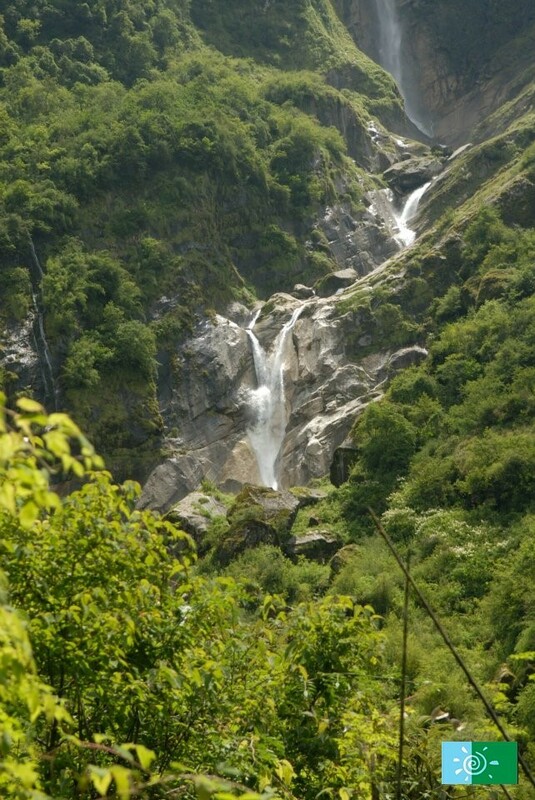 Trekking trail is characterized by picturesque villages cascading waterfalls, terraced farmlands, rhododendron forests and mountain backdrops.